When I joined the Professional Makeup Artist course, the main thing that I understood is how to follow hygiene practices while applying makeup. Makeup Brushes form an integral part of makeup and maintaining them is very important when it comes to hygiene practices. Sometimes we have the need to do makeup for 2 or more people continuously and we cannot use the same used brushes or neither can we have different sets of brushes. We need a quick cleaner so that we can proceed with our work without wasting time in cleaning & waiting for them to dry. 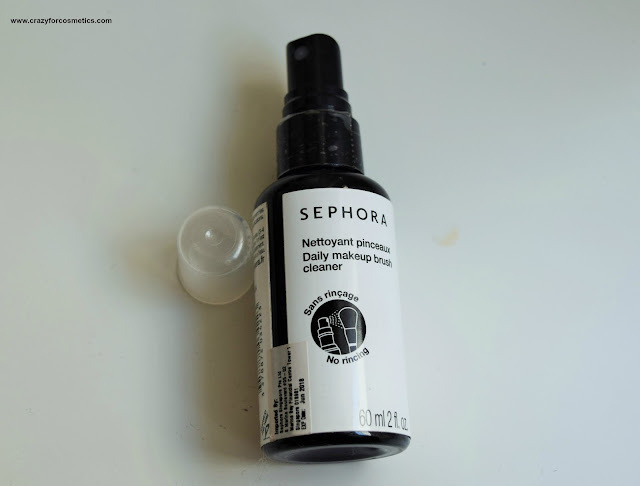 A daily brush cleaner designed to quickly remove light traces of makeup on the brush between applications.Its gentle formula protects bristles of the brush.No need to rinse. 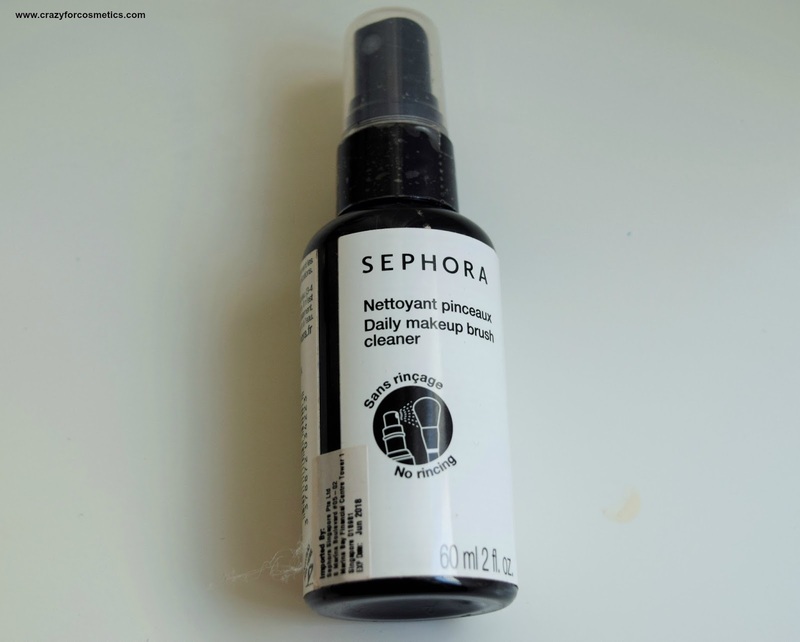 The packaging of the Sephora Daily Makeup Brush Cleaner is super convenient and comes in a plastic packaging with a spray nozzle. The nozzle helps us to control the amount of product released onto the brushes and reduces wastage. The smell is quite strong since it has a little alcohol but does not bother us much. While having minimal time between clients, it is so useful to clean the brushes using this cleaner as it helps us get rid of the products on the bristles easily. We just need to spray the solution onto the bristles & wipe them on a clean tissue so that the residues come off and the brush is good to go. Since it contains alcohol, the bristles dry up instantly and it takes just 5 minutes for the whole process. 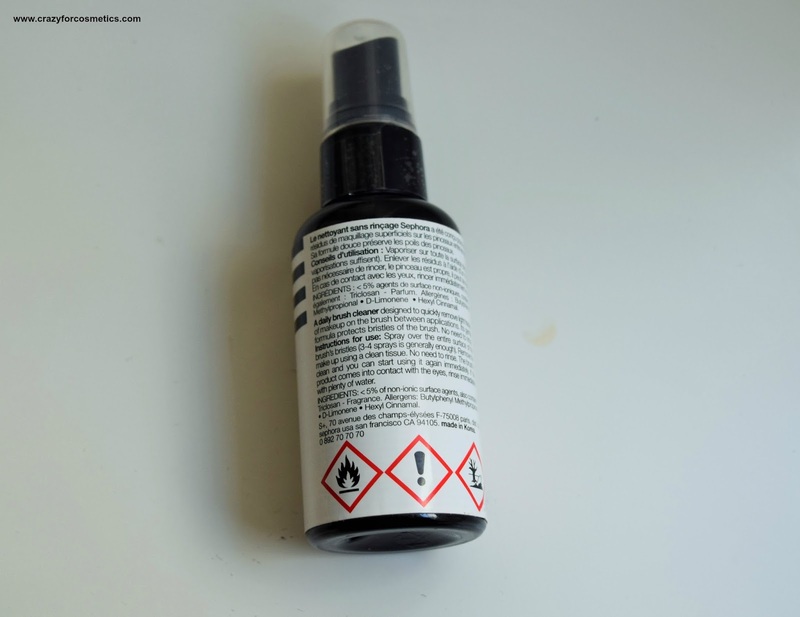 The liquid is flammable, so exercise caution while spraying it on the brushes and ensure there is no flame in the room. The products on the bristles come out fully onto the clear tissue and the brush looks really clean. 2 : Easy to store & carry around. 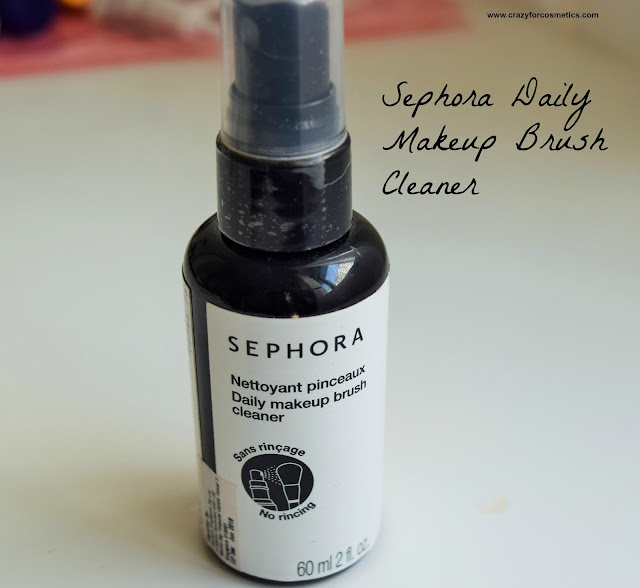 3 : Cleans the bristles well removing all the residues. 4 : No rinsing is involved which also saves the bristles from falling. 1 : Too small for the price.